When Mónica Chinchilla was talking about the problems that the SF school district faces she mentioned how frustrated parents were becoming when trying to decide where to send their children. Parents were creating these elaborate spreadsheets of data and spending hours trying to get data into one place to make a decision. Many of them ended up sending their children to private schools instead of public because the system was too complex and convoluted. So we decided to create a product to help streamline this whole process. 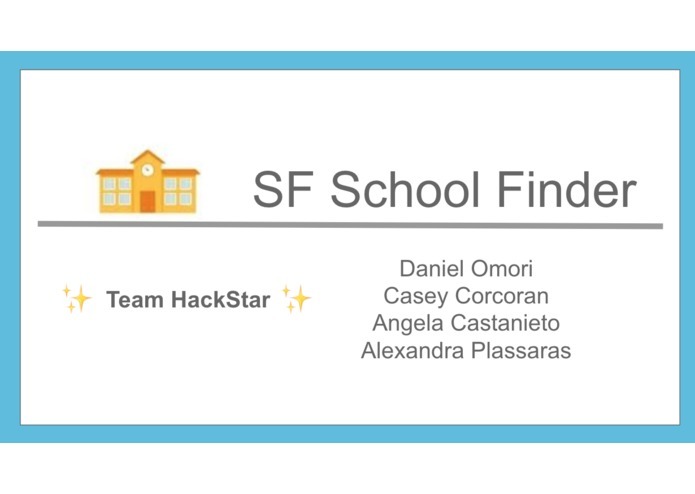 We've built a product that walks parents through thinking about what are the most important questions to answer when searching for the right school and providing them with enough information to make informed decisions. Once they've answered some key questions they'll be shown a results page of best schools based on their needs. 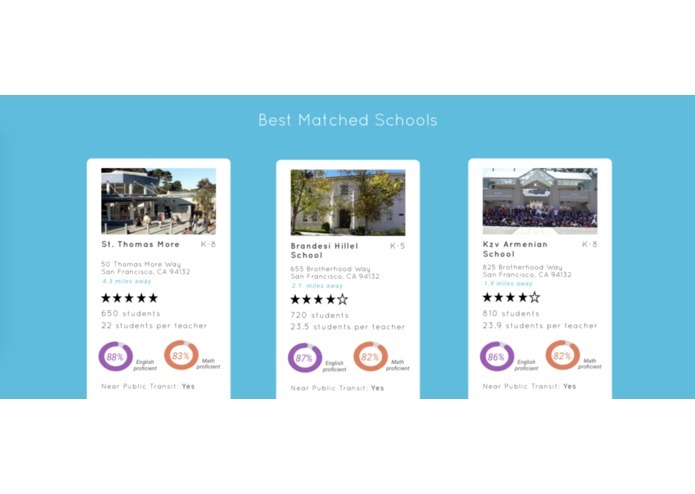 From there parents will be able to compare different schools, add additional filters and drill into individual schools to learn more. 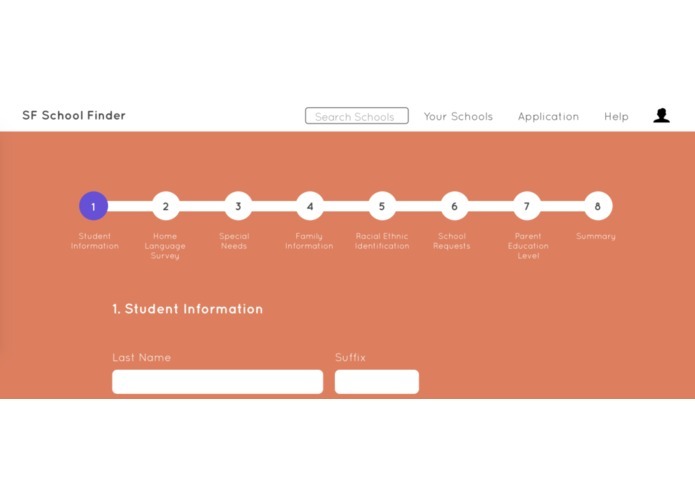 Last but not least parents will choose the top schools that they are interested in and we will help auto-populate the application form they need to complete. One challenge we faced was attempting to auto-populate the application pdf forms. We originally tried used to used Docusign API but were having some difficulty trying to find the right documentation so we opted for a ruby gem instead. On the design side we faced some organizational challenges. Balancing simplicity with efficient information architecture was the goal. Mainly we were trying to decide how many of the questions and filters to prioritize for the information our users' want/need while not getting confused in the navigation. We are proud of landing on a pretty awesome idea. 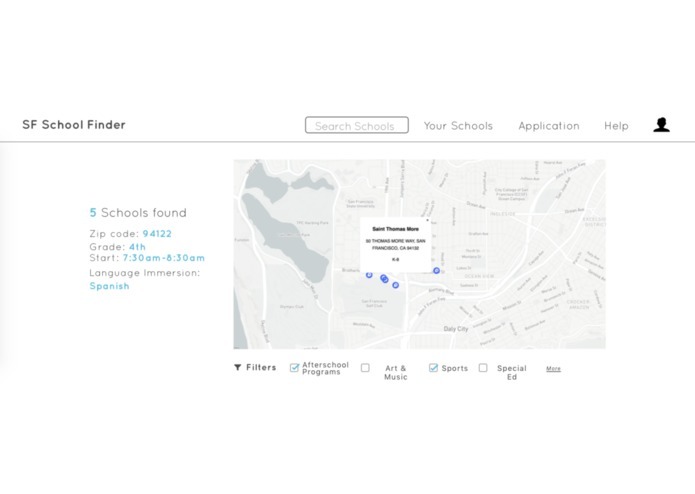 Researching and understanding the school system and application process was pretty confusing to navigate due to the cluster of information their website chaotically presents all at once. So to create an easy-to-use auto-populating pdf form and a beautiful and simple flow for parents is something we think very helpful, especially for multilingual families unfamiliar to the process. A lot more about the struggles that parents face here in the Bay Area when they attend to provide their children with a well rounded and public education. 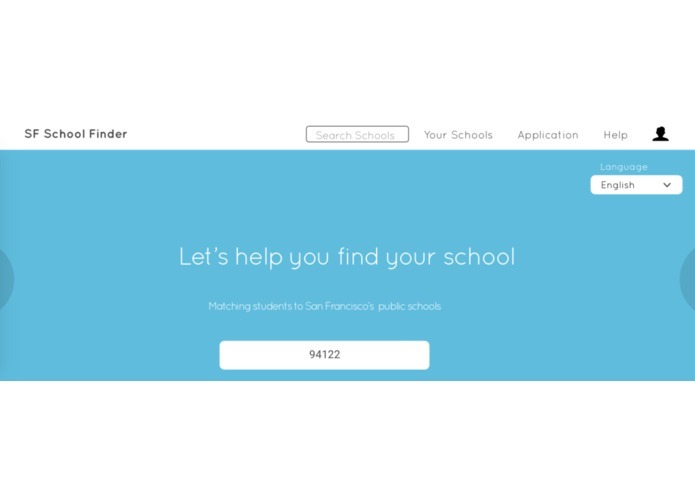 Next up for SF School Search we will be expanding the the auto-populate option to fill out the entire form and allow parents to download and print the form (since they are required to submit the form in person). We'd also like to actually acquire the data we need to properly showcase schools for parents to compare and add some additional data visualizations. 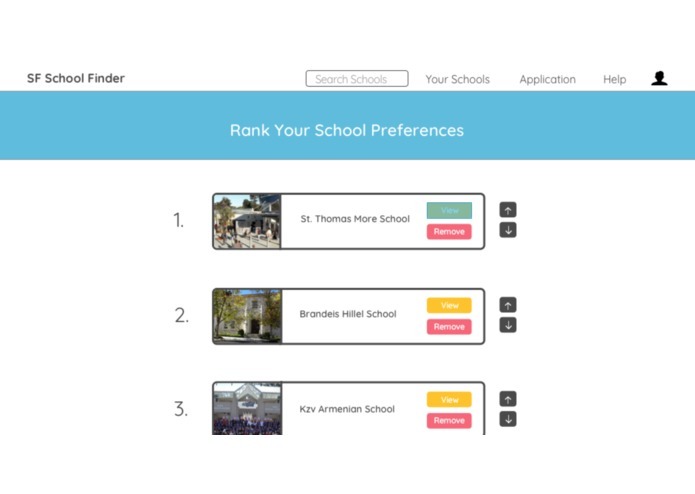 Also important is making this into a fully serviceable web application where each answer is inputed into our database to information the tool as well as generate a recommendation algorithm to identify the best fit schools.